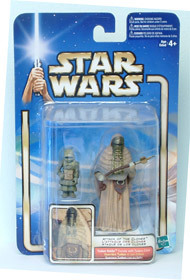 Description Of Item: Ten years after the fight to save Naboo from invasion, the galaxy is on the brink of civil war. Under the leadership of a renegade jedi, thousands of solar systems threaten to secede from the galactic republic. A courageous jedi knight, his impulsive and headstrong apprentice, and a queen-turned-senator are drawn into the heart of the conflict... and the beginning of war. Note: Packaging can be either english, bi-lingual, or tri-lingual. In most cases it will have the Tri0Lingual packaging. Shipments will be based on availability.